Indonesia's economy for 2018 and 2019 is expected to continue to improve notwithstanding the ongoing global liquidity rebalancing process. As indicated in Monetary Policy Review for the month of April 2018 prepared by Bank Indonesia, it was stated that Indonesia's economy is expected to grow within the range of 5.1 per cent to 5.5 per cent. On 23 March 2018 the Indonesian Financial Services Authority (OJK) issued Circular Letter No. 8/SEOJK.03/2017 on the Islamic Commercial Bank Business Plan and Islamic Business Unit. This regulation is an implementation regulation to OJK Regulation No. 5/POJK.03/2016 on Commercial Bank Business Plans. This regulation covers the scope and preparation of the business plan, reporting with regard to the realisation of the business plan, reporting regarding the supervision of the business plan, and the format of the report. On 26 March 2018, the OJK issued OJK Regulation on Determination of Systemic Bank and Capital Surcharge. This Regulation covers the method to determine a systemic bank and formation of capital surcharge to mitigate the negative impact on the stability of financial system and economy in the event that a systemic bank fails to overcome its ability to absorb losses. On 22 April 2018, the OJK issued OJK Regulation No. 6/POJK.03/2018 on Amendment to OJK Regulation No. 7/POJK.03/2016 on Prudential Principles in Implementing Structured Product by Commercial Banks. In this Regulation, the obligation of the customer to comply with a 10 per cent cash security has been excluded for a certain customers (i.e., banks, the government of the Republic of Indonesia, Central Bank of Indonesia or other country, and multilateral development banks or multilateral development institutions) and for transactions of foreign currency structured products against Indonesian rupiah for the purpose of hedging. On 3 May 2018, Bank Indonesia issued Bank Indonesia Regulation No. 20/6/PBI/2018 on Electronic Money. This stipulates requirements that must be complied with by banks and institutions other than bank in implementing electronic money. In addition to that, to support security and smoothness of electronic money implementation, Bank Indonesia also regulates the obligations that must be fulfilled by all electronic money operators such as obligations to implement risk management, reporting and system security. Formal restructurings are initiated through courts and governed by the Bankruptcy Law No. 37 of 2004 on Bankruptcy and Suspension of Payment (the Bankruptcy Law). The Bankruptcy Law provides an opportunity for borrowers to enter into debt restructuring by applying for a suspension of payment obligations, as well as the option to apply for bankruptcy. Both a borrower who has more than one lender and a lender can apply for a suspension of payment obligations. However, it should be noted that for certain lines of business (such as banks), only Bank Indonesia has the right to apply for the suspension of payment obligations. The Financial Services Authority is the only institution that may initiate suspension of payment obligations against security companies the Stock Exchange, the Clearing Guarantee Institution and the Central Securities Depository, while the Minister of Finance will be the only authority that may initiate suspension of payment obligations against insurance and reinsurance companies, pension funds and state-owned enterprises that involve the public interest. Although there are no mandatory features of a suspension of payment obligations, as mentioned above, the approval of the lenders and the Commercial Court is required before the plan becomes effective. 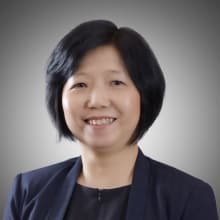 Formal restructuring will be applicable in respect of both secured and unsecured lenders. Upon receipt of a petition for formal restructuring (voluntary suspension of payment obligation) submitted by a borrower or a lender, the Commercial Court will immediately issue an order for the temporary suspension of payment obligations by the borrower. Following that, the administrator will convene a meeting of lenders to vote on a proposed composition plan, or the conversion of the temporary suspension of payment obligations into a permanent suspension of payment obligations, and the duration of the suspension. The meeting of lenders must be held within 45 days from the date the Commercial Court approved the temporary suspension of payments. The lenders may supervise the implementation of the court decision by granting a permanent suspension of payments for a period that shall not exceed 270 days from the date of the court decision. more than half of the secured lenders present at the meeting who represent at least two-thirds of the total secured debts of the lenders who attend the meeting. In the event that the plan is not approved, or the borrower fails to comply with the provisions of an approved plan, the supervisory judge will inform the Commercial Court, which will issue a further order declaring the borrower bankrupt. There is no avenue of further appeal against such a decision. accounts payable with preferential rights. propose new receivers to the panel of judges in the Commercial Court. During a suspension of payment obligations, all corporate actions must be conducted jointly by the administrator and borrower, and liabilities incurred by the borrower without the approval of the administrator after the suspension of payment can only be imposed on the assets of the borrower as long that they have benefit over the borrower's assets. A new loan can be obtained provided that it will increase the value of the borrower's assets. The borrower can also impose its assets with security rights such as a mortgage, fiduciary security or pledge, provided that these assets are free of encumbrances and such action has been approved by the supervisory judge. voluntary liquidation of a company. 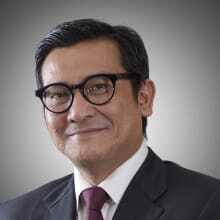 Restructuring of only the debt or equity structure is common practice in Indonesia. The general approach is for a company to reschedule debt that it can service, for example, in tranches with a grace period on principal repayment and concessional interest rates. The portion of debt that is not serviceable is normally dealt with in a number of ways, such as subordination, convertible bonds, straight equity conversion, warrants or debt forgiveness. Rescheduling of the terms of payment is implemented by dividing the outstanding loan into tranches that are either sustainable or unsustainable. Sustainable tranches can be paid over the short term or even in cash. Unsustainable tranches can be paid over a longer period of time. Securities can also be increased to include new securities if necessary, depending on the amount of the outstanding loan. This option is usually taken if the borrower is not able to repay its loan but there is a possibility that it will be able to improve its financial condition in the future. Some of the advantages of debt-to-equity swaps are that the company will be released from interest expenses and the lenders will have the opportunity to receive dividends. Notwithstanding these advantages, the disadvantages of debt-to-equity swaps include the fact that the lender will lose its rights over the securities and its priority rights because shareholder loans are considered subordinated loans; and that shareholders cannot file a bankruptcy petition against their own company. if the company is a publicly listed company, and the debt-to-equity swap transaction is not approved by the shareholders because the debt-to-equity swap transaction will cause dilution of the existing shareholders. The main objective of such restructuring is to separate or insulate the viable parts of businesses from the non-viable operations of an insolvent company or group of companies. 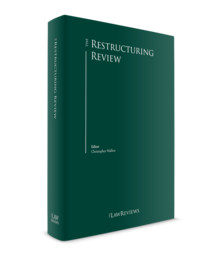 This restructuring can be implemented in a situation where a restructuring within the same legal entity is no longer possible from the lender's point of view. There are two types of liquidation in Indonesia: voluntary liquidation by shareholders of a company and a forced liquidation initiated by lenders. Voluntary liquidation will be adopted by the shareholders through an extraordinary general meeting of shareholders. In a voluntary liquidation, after it is announced by the liquidator in the newspapers, the lenders may have the right to register their claims to the liquidator, and the lenders may also object to the distribution plan proposed by the liquidator. If claims or objections registered by the lenders within a period of 60 days of the date of such announcement have been rejected by the liquidator, the lenders may lodge a civil lawsuit to the relevant district court within a period of 60 days of the date of such rejection. If the lenders have not registered their claim during the liquidation process, they still may lodge their claim to the relevant district court within two years of the closing of the liquidation process, with the condition that there are still remaining assets to be distributed to the shareholders. All of the workout arrangements explained above can be worth considering by lenders if the borrowers agree to and are cooperative about restructuring their debts, and the lenders will have the opportunity to recover their receivables after the implementation of the transaction. The gap between the expectations of the borrower and the lender often leads to initial negotiations being slow and unproductive. This is accentuated when the borrower and lender have a history of not trusting or cooperating with each other. In this situation, both parties will often make unrealistic demands that impede useful commercial negotiations. personal security rights, which relate to a certain (individual or corporate) party that has agreed to provide security for a borrower's debts, such as in personal or corporate guarantees. Personal security rights (rights in personam) are rights that establish a direct relationship with a specific (individual or corporate) party, and, therefore, can only be exercised against that party and assets of that party in general. They create no preference with respect to any particular assets. Except for a mortgage or hypothec and a fiducia security, most security documents are enforced through normal civil proceedings at court, and are preceded by three demand letters served against the grantor of such security. Enforcement of a mortgage or hypothec and a fiducia security can be done through a public auction or private sale. The parties may choose a private sale if this method will result in the highest price benefiting all parties. A private sale must be announced in two local newspapers at the place of the assets, and the sale can only be conducted one month after such publication and provided that there is no objection from any parties to such intention. Bankruptcy has no effect on lenders who hold a mortgage, hypothec or fiducia as security (also referred to as secured lenders), except that secured lenders are stayed from enforcing their rights for maximum period of 90 days commencing from the date of the grant of bankruptcy. Once the stay period is lifted, secured lenders are free to enforce their securities, but must do so within two months of the commencement of the state of insolvency or else they will, upon subsequent enforcement of their security, become liable to contribute to the costs of the bankruptcy. The state of insolvency is stipulated in Article 178 Paragraph 1 of the Bankruptcy Law, and will immediately commence when no composition plan has been offered, the composition plan has been rejected or its ratification has been refused by the Commercial Court. Following the state of insolvency, the receiver will distribute the bankrupt estate to the lenders. Indonesian Law No. 40 of 2007 (the Company Law) has made it mandatory for every Indonesian company to have three organs: a board of directors, a board of commissioners and a general meeting of shareholders. The board of directors is responsible for the management of the company, while the board of commissioners has the duty to supervise the manner in which the board of directors manages the company in the interests of the company. The general meeting of shareholders consists of shareholders of the company, and has the right to appoint and terminate members of the board of directors and board of commissioners. In addition, there are also corporate actions that require the approval of the general meeting of shareholders. in a liquidation, in addition to the announcement of such liquidation, the board of directors can also act as the liquidator of the company. Each member of the board of directors will be jointly and severally liable for losses suffered by the company or shareholders if he or she violates the articles of association, or the prevailing laws and regulations; or if he or she fails to comply with his or her duties, or in the event the company has been declared bankrupt because of the fault or negligence of the board of directors and the assets of the company are not sufficient to cover the losses incurred in the bankruptcy. in the occurrence of the bankruptcy of the company, the director can prove that he or she has managed the company prudently and in good faith, and the bankruptcy has not occurred as a result of his or her negligence or fault, and he or she has taken all necessary actions to prevent the occurrence of the bankruptcy. If a company has been declared bankrupt, the board of directors is no longer entitled to manage the company, and the authority to manage the bankruptcy estate will be assigned to a receiver designated by the Commercial Court. However, in the case of a suspension of payment obligations, the board of directors must jointly manage the company with an administrator appointed by the Commercial Court. The board of commissioners has duties to supervise the company, and to give advice to the board of directors in the interest of the company and according to the purposes and objectives of the company. The duties of the board of commissioners include reviewing the annual report and approving the budget plan prepared by the board of directors, as well as reporting on the performance of their duties to the shareholders during the annual general meeting of shareholders. in the occurrence of bankruptcy, he or she can prove that the bankruptcy was not due to his or her fault or negligence, and he or she has carried out his or her supervision duties prudently and in good faith, and he or she has taken all necessary actions to prevent the occurrence of the bankruptcy. The Bankruptcy Law allows that certain transactions made prior to the bankruptcy that favour one lender over another can be annulled. Article 41 of the Bankruptcy Law provides that voluntary transactions (that is, transactions entered into without any contractual obligation to do so) of the borrower undertaken one year before the declaration of bankruptcy that cause a loss to the lenders may be nullified if it can be proved that, at the time of the transaction, the borrower and the counterparty knew or should have known that the transaction would cause a loss to the lenders. If a transaction is annulled, all assets of the borrower received by the counterparties to the transaction must be returned to the bankrupt estate. A transaction that the borrower is contractually obliged to perform can be annulled if, at the time of the transaction, the lender knew that a bankruptcy petition was pending and that the transaction was a result of collusion between the parties. Currently there are no new legal developments on bankruptcy and insolvency regulation. Based on data published on the website of the Commercial Court of Jakarta, during 2017 there were 165 cases of suspension of payment obligations, and from January 2018 to the end of 18 May 2018, there were 68 applications for suspension of payment obligations at the Commercial Court of Jakarta. In practice, suspensions of payment obligations are followed by debt restructuring, and it is common practice that the lender and borrower agree to reschedule the terms of the payment of the loan or exercise a debt-to-equity swap, or to a combination of these two options. As it is not a Member State of the EU, the EC Regulation is not applicable in Indonesia. Nor has the country adopted the UNCITRAL Model Law. Submission to and a judgment of a foreign court will not be enforceable by the Indonesian courts unless there is a bilateral treaty between Indonesia and the country in which the judgment was rendered. To date, no bilateral treaties have been signed by Indonesia to enable the enforcement of a foreign judgment in Indonesia. A non-Indonesian judgment may, however, be given such evidentiary weight as an Indonesian court considers appropriate, and a re-examination of the issues de novo would be required before an Indonesian court to enforce a claim in Indonesia that is the subject of a foreign judgment. However, Indonesia has ratified the 1958 New York Convention and promulgated Supreme Court Regulation No. 1 of 1990 in conjunction with Law No. 30 of 1999 on Arbitration and Alternative Dispute Resolutions, which is the implementing regulation for the recognition and enforcement of foreign arbitral awards. international arbitration awards that involve Indonesia as one of the parties to the dispute may only be enforced after obtaining an exequatur from the Supreme Court of the Republic of Indonesia, which will then delegate it to the Central Jakarta District Court. No appeal or cassation to the Supreme Court may be made against a decision of the Chairman of the District Court of Central Jakarta who recognises and enforces the international arbitration award. However, a cassation to the Supreme Court may be made against a decision of the Chairman of District Court of Central Jakarta for refusing to recognise and enforce and international arbitration award. After the Chairman of the Central Jakarta District Court has issued the writ of execution, further enforcement will be delegated to the chairman of the district court that has jurisdiction to enforce it. There is no legislation on restructuring pending in Indonesia. In view of the country's current economic climate, it is possible that the amount of non-performing loans will increase, resulting in a rise in the amount of debt restructuring either through formal or informal procedures. This is reflected in the growing number of applications for suspension of payment obligations at the Commercial District Court during the past year.